Subprime mortgages are considered home loans that have a higher interest rate than prime loans and they were very popular prior to the mortgage crash. After 2009, many subprime mortgage lenders stopped offering these high risk loans. These days, it is much easier to get a sub prime mortgage loan with bad credit than just two or three years ago. With the economy surging and unemployment falling since Donald Trump took over as President, there appears to be more top subprime lenders offering refinance and home loan options for people with bad credit in 2018. What Are Subprime Mortgage Loans and Do They Still Exist? A subprime loan has a higher interest rate than a regular mortgage loan, because the person taking out the mortgage has a lower credit score and/or a higher debt to income ratio. Also affecting the rate on subprime mortgage loans is the number of late payments you have made that appeared on your credit report in the last few years. If you get a subprime loan, there are several things to be aware of. First, your interest rate will be higher, causing you to pay more in interest over the life of the mortgage loan with bad credit. After the crash, the subprime market largely dried up, but things began to change in 2015. There are now mortgage lenders available that are especially catering to people with lower than average credit, as well as borrowers with self-employed income. Specifically, a company named Citadel Servicing Corp., based in Irvine CA, started to offer alternative income documentation loans in 2012. It has created a loan program that allows the self-employed borrower to document income with bank statements rather than tax returns and 1099’s. These self-employed loans seem like a solid common sense approach for good borrowers that might need bad credit loans because of past problems they have overcome. This top subprime mortgage company requires you to have two years of bank statements to validate your cash flow so that they can extrapolate your income. This will give the lender the ability to judge your ability to repay the loan. This company, and others like it, think that looking at two years of bank statements are a more reliable way to judge what you live on each month, rather than W-2’s and tax returns. After the crash, having 20% down to get a home loan was standard. But today, the Federal Housing Administration is guaranteeing loans with as little as 3.5% down, and you can have a credit score as low as 620 for that type of loan. If your score is below that, you will need 10% down. Still, FHA has relaxed its lending criteria so that people who have below average credit are able to get home loans. Shop FHA-mortgage rates today and it just might motivate you. Over the years FHA has built a reputation insuring affordable non-prime mortgages for people with bad credit scores. Learn more about FHA home loans and credit. With the election of Donald Trump to the White House, there has been a surge in activity on Wall Street and the Dow has gone well over 24,000 – a record. If the economy shows strong growth in 2018 and beyond, this will be a boon to the housing market. When there is a stronger housing market, there are usually more subprime mortgage lenders that want to get into the game. However, more than 50% of Americans have a credit score under 680, which is well into subprime territory. The only way for many of those buyers to get a loan is with a subprime mortgage program. There is a good chance that the Fed will raise rates in 2018, but historically, getting a mortgage for 4-5% is still a great deal. For subprime borrowers, they will be required to pay a higher interest rate, but this will still be better than paying rent for most borrowers. Subprime mortgage loans will still be a comparatively good deal for many of these buyers. There is no doubt that lending guidelines have relaxed a good deal. This has led to a lower down payment requirement for many first time home buyers. Even for many borrowers with a credit score of 580 to 640, it is still possible to get a loan for 5% down, or 3.5% down for an FHA or subprime loan. Fannie Mae and Freddie Mac recently rolled out new home loan programs that only require a 3% down-payment, but these program are seeking a strong credit history than FHA underwriters would be in most cases. Finding zero down home loans with bad credit will likely be more strenuous but start with some of the government programs first. Many people believed that with the subprime mortgage crash, it would be impossible to get a loan with less than 20% down or a credit score under 740. This is no longer the case. You will need to show that you have the ability to repay the loan, but there are many of the best sub prime mortgage opportunities available for people who know where to look. That being said, there are newly announced programs to help consumers to buy a home with poor credit. Before you can find a possible subprime mortgage lender, it is a good idea to understand more about what the requirements are for a conventional home loan. In the current marketplace, you will need to have fairly strong credit to quality for a conventional mortgage loan. This means to get a loan at a low interest rate, you will need to probably have a credit score of 720 at least. Another key factor in getting a low interest rate for a conventional loan is if you have a relatively low debt to income ratio, or DTI. Conventional lenders will compare your total monthly debt, including the mortgage and will compare it to your monthly income. They usually want to see that your debt load is no more than 36% of your gross income each month. What If You Don’t Meet These Standards? If you do not meet these lending and credit standards and have average to poor credit, are you shut out of buying a home? Not always. Today there are a number of options to secure a mortgage with bad credit; this is known as a subprime mortgage. Some people think that you no longer can get a subprime mortgage; after all, weren’t subprime mortgage loans a major cause of the mortgage meltdown? In part, but as years have passed since the crash, lending criteria have become easier for subprime loans. But since early 2015, the number of subprime mortgage rose approximately 28%. Today it is not unusual for subprime mortgage lenders to offer home loans to people who have a 620 credit score or below. If you have average to poor credit, you will probably be looking at some type of subprime loan that you can get that is backed by the Federal Housing Administration, or FHA. FHA-approved loans are offered by certain lenders who are attracted to the program because FHA will pay back the lender if you don’t make your monthly payments. A subprime loan can be offered by bad credit mortgage lenders; this is often someone who has a credit score under 700, and sometimes as low as 580. Many subprime lenders will work with you with credit this low, but you will be charged a higher rate. The interest rate on your loan, if it is FHA-backed, may be lower than you might think. In fact, even with a low credit score under 640, you still may be able to enjoy a competitive interest rate. The chances of being approved can be boosted if you are able to put down more money, or if you have had few late payments in the last 12 months on your credit report. Why Get a Subprime Home Loan? If you have poor credit, maybe you should wait to get a home loan, right? This can be true – in some cases. But if you are able to get a relatively competitive home loan with an FHA, VA or USDA approved lender, you may be able to get a decent rate. If so, this can make more sense than continuing to pay rent for years and years. Shop Subprime Loan Lenders to see if the new programs offer the right loan for your situation. Remember, owning a home is one of the most important means to building wealth in the US. Eventually, you will have equity in the home that can be used for many purposes. People with average or poor credit who want to buy a home in 2018 have more options than a few years ago. After the mortgage crash of a decade ago, most mortgages for people with poor credit disappeared. But today there are more loans available and plenty of flexibility in terms of qualifying. If you want to get into a home of your own this year, be sure to review our guide to subprime loans below. Subprime mortgage loans for home buyers who have lower incomes and lower credit scores. There are many options available for people in this situation, but it is important to know that there are down sides to getting a subprime loan. Anyone who gets a home loan with poorer credit will likely have a higher interest rate because there is a higher rate of risk for the investor. How high your rate will be depends on how low your score is. Also, the underwriter will look at your credit history for the last year or two and see how many late payments you have. If you have a lower credit score but have not had late payments recently, you will be more likely to get a lower rate. The term ‘subprime loan’ has a different meaning than it did a decade ago. Back then, it was possible to get a loan with no income verification and no verification of your assets. In those days, they were giving home loans away to almost anyone with a job. That is how the crash happened. In many instances, the FHA home finance programs are the best option for people with poor credit. These loans are guaranteed by the US government against default. So, FHA-approved lenders are more likely to provide you with a loan with a loan with a reasonable interest rate. FHA loan financing is often available to people with credit scores from 550 and up. If you have a score of at least 580, you can get a loan with only 3.5% down in many cases. You will have more lenders to choose from if you have a higher score in the 640 and up range, but you still may be able to find a subprime mortgage lender with an FHA options. Many subprime mortgage lenders are FHA-approved and are very flexible with their income, credit and work criteria. So this is one of the best government programs for those who are looking for a subprime loan. USDA loans are a great option for low credit and income borrowers who want to buy a home in a rural area. These loans are made for people who live outside of major US cities, but there may be some homes available that are in suburbs outside of large cities. You need to check with the USDA website to see if the home you want will qualify for a USDA loan. If so, USDA mortgages are very generous and flexible, like FHA financing. You can have a low credit score and income and still qualify. But it is better than an FHA loan in that you can possibly get 100% financing. As long as you can show that you can afford the loan and your other financial obligations, you should be able to get this subprime loan. If you have very bad credit, you also may decide to finance a home from the owner. You will pay a higher interest rate, but it still may be better than paying rent. Also, you can refinance the mortgage in a few years when you improve your credit. Those two federal programs are the best sources of subprime mortgage loans today. We advise that you talk to several lenders to see if they offer FHA and/or USDA loans. If they do, these programs could be just the ticket to get you into your new home. One option to consider for people with bad credit is to get an adjustable rate loan or ARM. These five or seven-year fixed rate loans readjust to market rates after the introductory period is up. These loans got a bad rap in the mortgage crash, but they can make a lot of sense for some bad credit buyers. ARMs have substantially lower rates than 30 year loans. You could get an ARM today for well under 4%, if your credit is good enough. It is true that the loan interest rate could spike, but you also should be able to improve your credit in five or seven years. You then may be able to refinance the loan into a more reasonable rate. Check today’s ARM mortgage rates. People who want to buy their first home and have bad credit are not out of luck. Government programs such as FHA and USDA provide subprime borrowers with quite a few viable options with low interest rates and low-down payments. You may need to talk to several lenders to find ones that offer these programs for those with poor credit scores. If your credit is really bad, remember you can owner finance the property and refinance it when your credit improves. Citadel: This is not an actual lender but it is a great resource for potential home buyers who want a mortgage with bad credit. You can use this direct lender to compare many different bad credit loan options. It also offers very helpful credit repair that can help you to even qualify eventually for a conventional loan. This organization also provides you with information about lenders who do 203k loans, which are great for buying a fixer upper with bad credit. Carrington Mortgage Services: This company has approved more than $10 billion in subprime loans in the past several years. It also has a real estate brokerage in house so that it can help you to find the right subprime loan products. This company offers not just FHA loans, but USDA loans that are available for people with only a 550 credit score. USDA loans also have a 100% financing option, if you are buying a home that is in a designated rural community. First Alliance Home Mortgage: This is a direct lender with many bad credit loan products. FAHM offers subprime FHA, VA loans, and many specialized loan products for a variety of credit types. It also offers rent-to own home loans that can be crucial to help renters become homeowners. You will need to pay a slighter higher rate, but this still can make sense for some borrowers. Global Equity: This San Diego based mortgage lenders has been helping homeowners in multiple states secure non-QM loans that make sense. 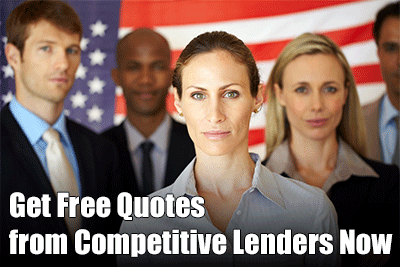 They offer competitive refinance rates and excellent service for a wide variety of loan programs. Nationwide Mortgage Network: This is another resource and consumer tool that will help you to search for the best bad credit mortgage for your personal situation. It especially focuses on connecting distressed borrowers with FHA-approved and subprime mortgage lenders for bad credit. You have more options today to get a subprime mortgage. Check out the lenders to find the best subprime mortgage companies we recommend, and be prepared to shop around if you credit is well below 700. You still may be able to get a home loan at a fair rate.